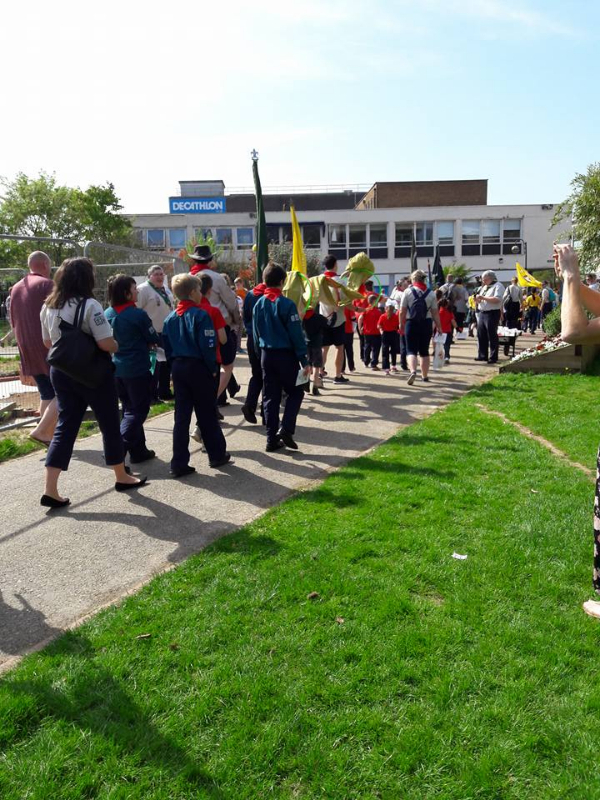 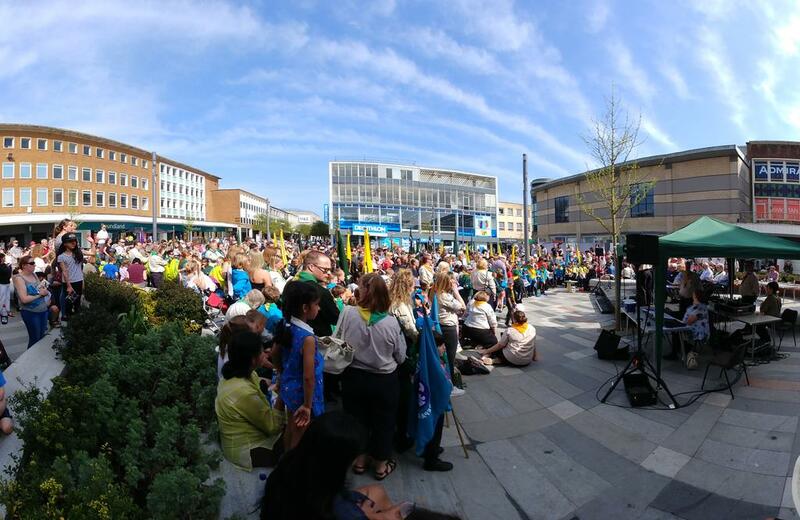 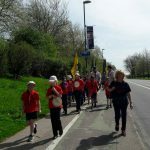 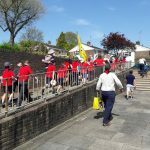 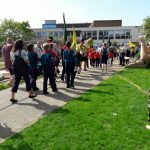 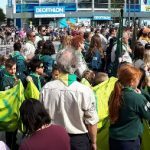 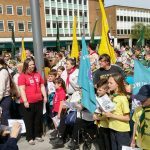 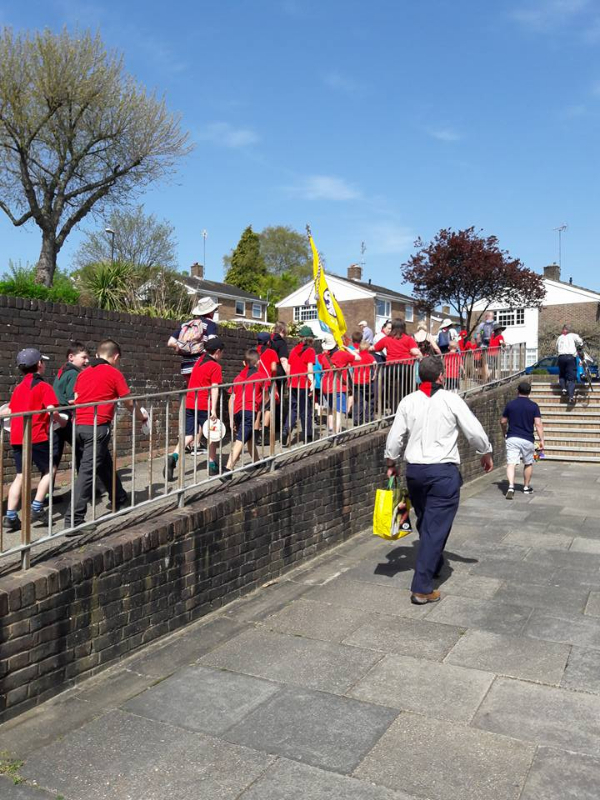 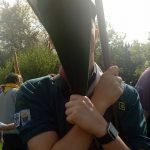 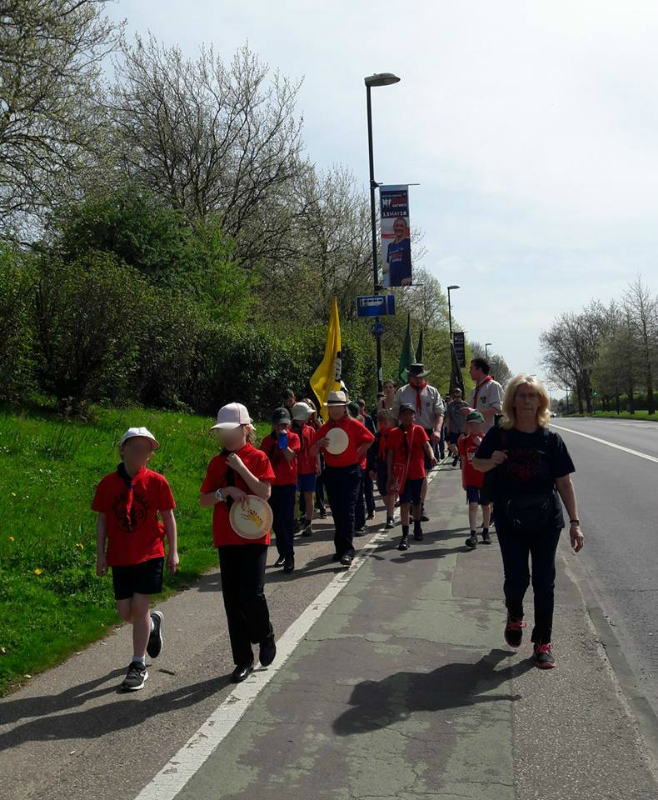 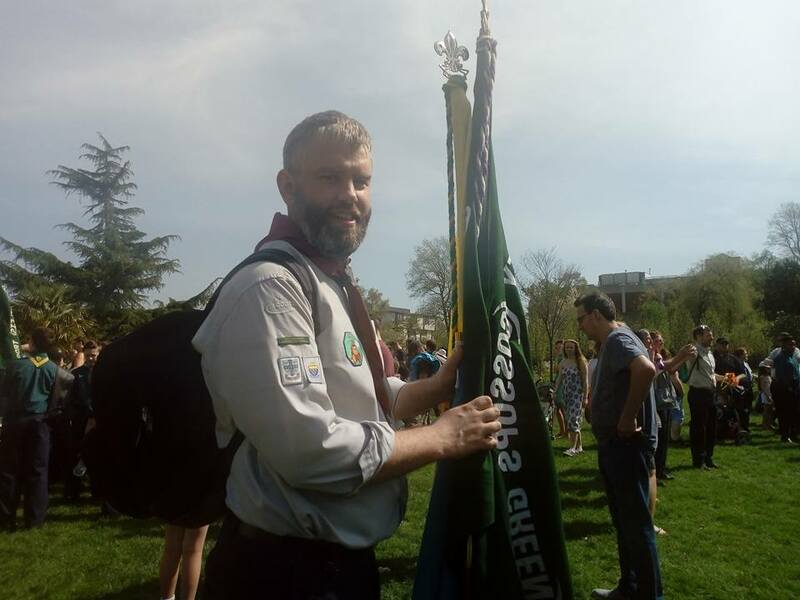 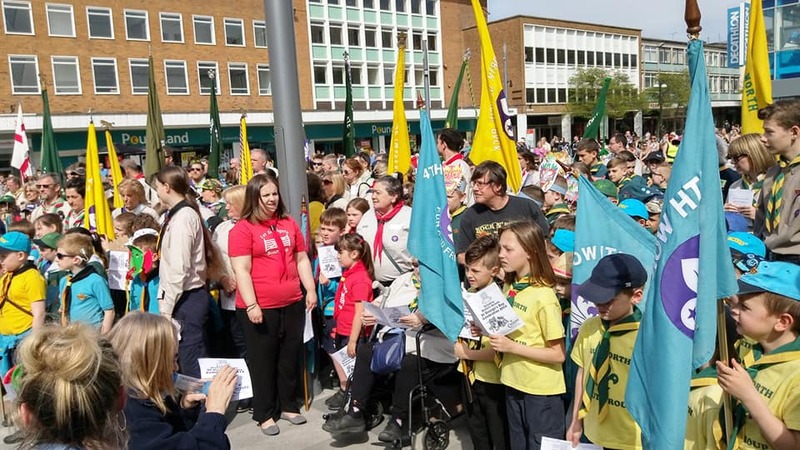 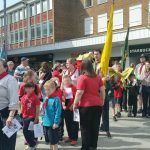 Sunday 22nd April saw members from all the Group in our District join together in Queen’s Square to celebrate Scouting’s patron saint, St George. 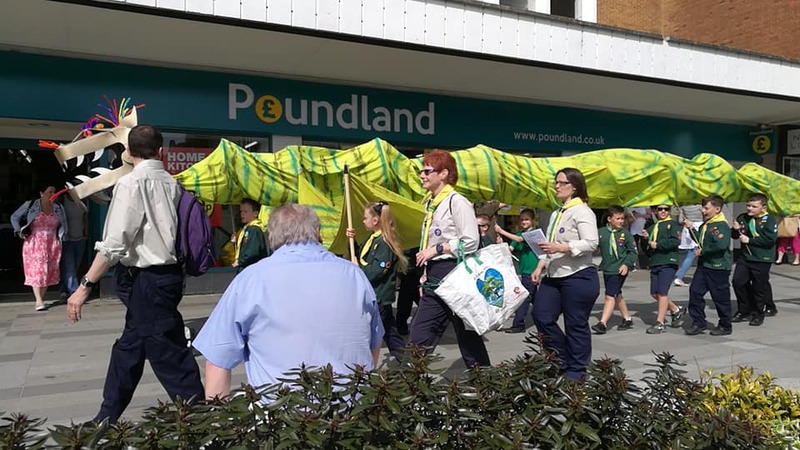 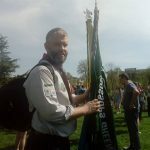 The procession, lead this year by 2nd Ifield’s large green dragon, took the Scouts through the town centre into the Square. 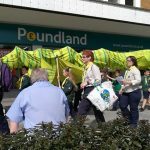 We heard the story of St George as lead by the district Youth Commissioners, saw processions of dragons and renewed our Scout promises. 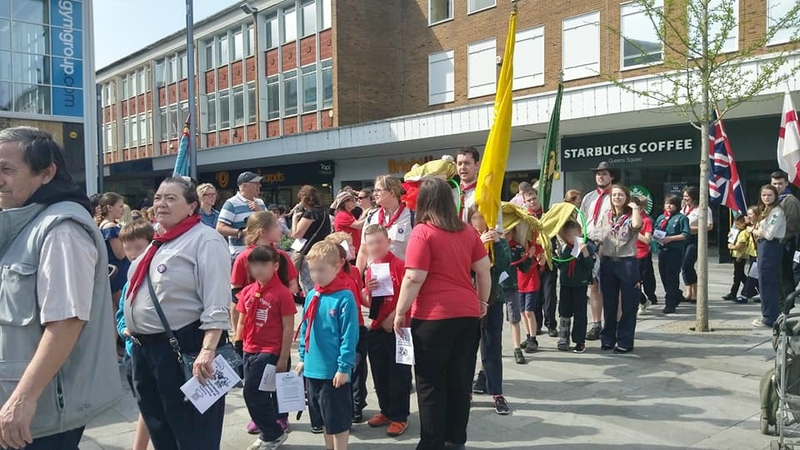 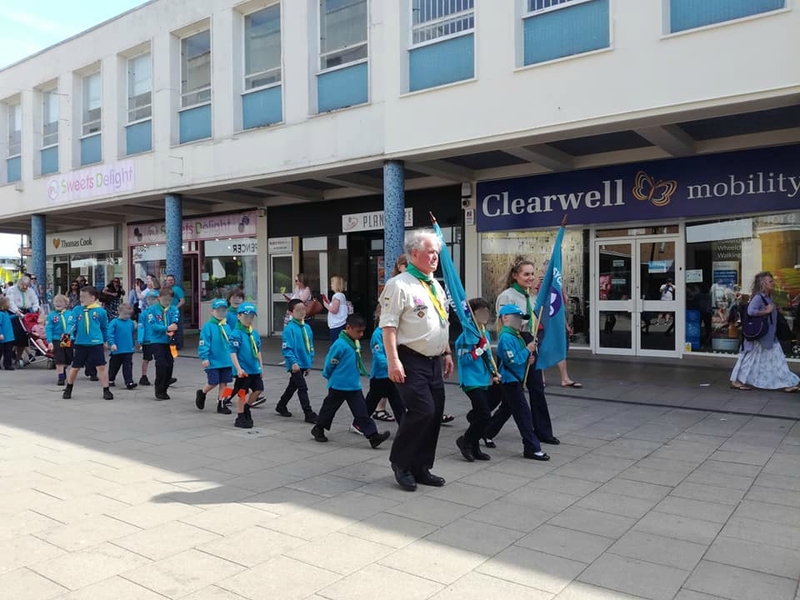 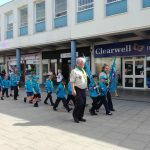 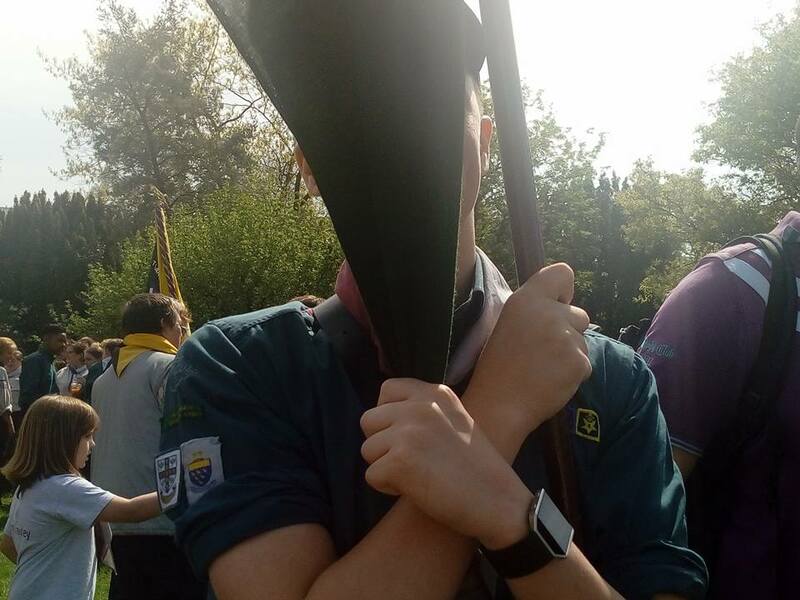 Events like this were held in towns throughout the country as scouts renewed their scout promises.